The rainy, cool weather continues Sunday, and meteorologists say the rain will continue throughout the week as temperatures reach into the 80s. 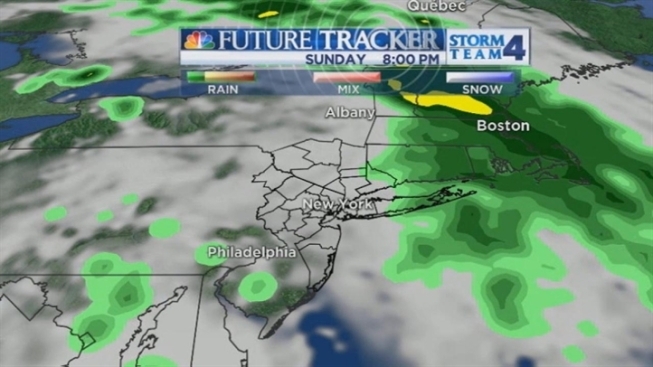 Sunday will be cloudy and cool, with scattered showers and a persistent drizzle throughout the day. Temperatures along the coast will be in the upper 50s, and areas inland will hit the mid 60s. The temperatures will creep up into the high 60s by Monday, with chance of scattered showers. The warm-up begins Tuesday, with a high of 78. There's a possibility of an afternoon thunderstorm Tuesday and Wednesday, and scattered showers Thursday and Friday. The sun returns in time for Memorial Day weekend, but it may be too cool for the beach, with temperatures in the upper 60s. The sun sticks around through Monday.